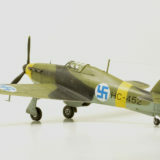 Home » Posts tagged "built model"
Today in our Gallery Hurricane model built by Anders Isaksson from Sweden. 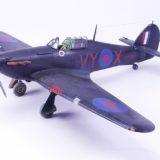 Finished with night fighter black livery kit was superdetailed with some extra details. Article about building the kit was published in Swedish modeling magazine Allt Om Hobby, issue 3/2019. 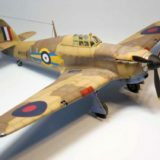 Hurricane from Malta with an interesting recce camouflage was built by Craig Boon. 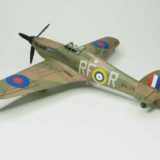 Using spare decals from Expert Set it was painted with Hataka lacquers and acrylics. 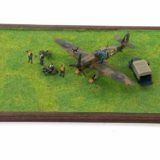 Read the story of aeroplane and see photos of built kit! 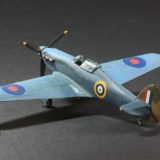 Libor Jekl, well know Czech modeller and author of the Airframe Workbench Guide No.1, has built Hurricane Mk I in Finnish colours. 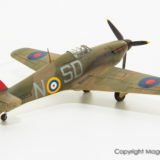 Model was rivetted and SBS Decals were used for markings. 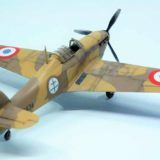 See excellent weathering of built model and share your comments! Today, new photo gallery of PZL P.11c model. Zbyszek Malicki from IPMS Warszawa built the Cracow p-eleven “straight from the box”. See how the fighter from 122 Eskadra looks like and be sure to comment on the pictures! 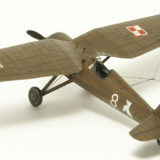 Another one Fokker in the Arma Hobby models gallery! Artur Rzepka sent us photos of his model built from the Junior Set. 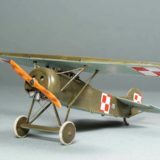 See photos of Polish Fokker in colours and markings from the 1920s.